Prepare for your upcoming Orange hiring process by acquiring JobTestPrep’s exclusive PrepPacks™. Orange interviews and tests can be nerve-wracking. Practising is important so that you have all the tools you need at your disposal, including drills, study guides, and exercises. When using our simulated entrance exams, you will gain the knowledge and skills to glide through the Orange test process. Get ready to outperform competing job applicants by practising today! Founded in 1988, Orange is one of the world’s top telecommunications operators with 150,000 employees worldwide, including 91,000 employees in France alone. Orange ensures that their customers experience unique daily experiences by designing secure digital services. They possess a dynamic approach by offering developed connectivity and enhancing the customer relationship. Application: The first step is always the application process, in which candidates can submit an online form and attach their CVs. Individuals can also apply with a recruiter or through an employee referral. 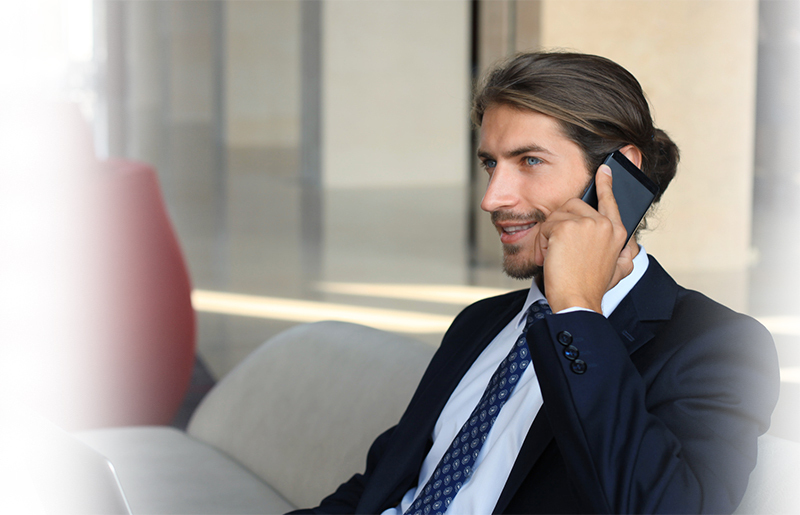 Telephone Interview: A hiring manager may call applicants over the phone to conduct a brief interview. These phone calls are made to sift out applicants who are not suited for the position, by evaluating their characteristics and skills. In-Person Interview: Job applicants will be asked to come in for one or more onsite interviews. Each step of this process may differ, either being done one-on-one or in a group/panel setting. The Orange assessment centre day includes group interviews with various exercises, discussions, and presentations. Tests: Several pre-employment tests may be given to applicants during the recruitment process to further evaluate each person’s cognitive and technical knowledge. Such tests may be taken online or as written exams. Psychometric tests are used by many companies as a means of evaluating candidates in an efficient and reliable manner. Aptitude tests rate candidates’ replies, showcasing their level of compatibility for the career. These exams may include the numerical, verbal, and logical reasoning tests. Numerical tests assess the candidate's ability to solve arithmetic problems using the presented data, whereas verbal tests assess the ability to answer questions based on written passages or texts. Logical tests measure logical thinking and decision-making skills and are often divided into inductive and deductive logical thinking tests. Other Orange assessment tests may include the personality and situational judgement (SJT) exams, which evaluate one’s character traits and behavioural tendencies. The Microsoft Office tests usually involve the Microsoft Excel and Microsoft Word assessments which are either given at a basic or intermediate-advanced level. Each exam assesses one’s technical skills and efficiency when performing required tasks within these platforms. Other aptitude tests measure candidates’ specific capabilities, such as their arithmetical knowledge and decision-making skills. Start Preparing for the Orange Test Process with JobTestPrep. The Orange interviews may vary in their different styles and methods. For example, competency-based interviews focus on one’s capabilities when dealing with challenges in the workplace by referencing their past behaviours. Whereas technical interviews ask questions relating directly to the knowledge and skills required for the specific job position being applied for. How can you configure DNS in windows server? What are you key attributes/strengths? How do telephone wires reach your house? Explain the whole process. Orange, Microsoft, and other trademarks are the property of their respective trademark holders. None of the trademark holders is affiliated with JobTestPrep or this website.